Terry J. Zimmerman, M.D., F.A.C.S., is the medical director of The Center for Plastic and Reconstructive Surgery. He received his undergraduate bachelors degree in biology at the University of California, San Diego (UCSD), and his medical degree at the University of Southern California (USC). He then completed a five year general surgery residency within the East Bay program in Oakland, California. Dr. Zimmerman went on to complete a comprehensive three year residency in Plastic and Reconstructive Surgery at the University of California, Davis (UCD) Medical Center. 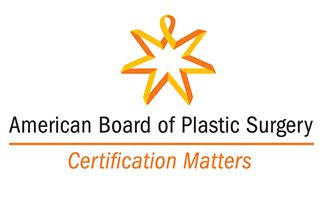 Dr. Zimmerman is Board Certified by the American Board of Plastic Surgery. He also furthered his education by obtaining a Certification of Added Qualification in Hand Surgery. Dr. Zimmerman is an active member of The American Society of Plastic Surgeons (ASPS), The American Society of Aesthetic Plastic Surgeons (ASAPS), The California Society of Plastic Surgeons (CSPS), and The Greater Sacramento Society of Plastic Surgeons (GSSPS). He is also a participating Fellow of the American College of Surgeons (F.A.C.S.). 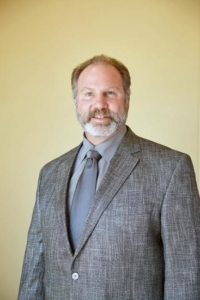 Dr. Zimmerman enjoys staying active with the local community and was the recent Chief of Surgery at the Mercy Folsom Hospital, where he has sat on the hospital’s medical executive board for the past sixteen years. He is also active with the Folsom Chamber of Commerce. He believes in staying current with new technologies and procedures, while mastering traditional techniques. Dr. Zimmerman was recently recognized as an IDEAL IMPLANT Preferred Surgeon due to his extensive expertise working with IDEAL IMPLANT® Structured Breast Implants, the latest technology in breast augmentation. With a unique structure surrounding these saline-filled implants, women can achieve beautiful results with zero risk of silent rupture. Dr. Zimmerman uses the IDEAL IMPLANT to help women look and feel their best. With the IDEAL IMPLANT, no expensive MRIs are needed, and they come with a lower risk of both capsule contracture and ruptures when compared to other implants. "I am so glad I chose him!" "Such a lovely friendly man!" “Dr Terry Zimmerman is such a lovely friendly man. I felt very at ease in his company and trusted him 100% to look after me. I would absolutely recommend him for any cosmetic surgical procedure and am very glad I decided to use him over other cosmetic surgeons. "He and his staff are wonderful!" "I’m very happy with my results!" "I’m in love with my breasts!" "I am very happy I chose Dr. Zimmerman!" "I can not say enough about Dr. Zimmerman"
"I could not be more happy!"